Summary from Goodreads: In the stunning conclusion to the bestselling Winternight Trilogy, following The Bear and the Nightingale and The Girl in the Tower, Vasya returns to save Russia and the spirit realm, battling enemies both mortal and magic. Review: WHAT! This book was an epic journey into the realm of magic and midnight, a fantastic twist to what we already love. Our favorite heroin Vasya is on the run as a supposed witch, after she saved the people of Russia. She knows that the battle isn't over though, and must find a way to return to her brother's side to save the ones she loves. I really enjoyed this third book in the series. 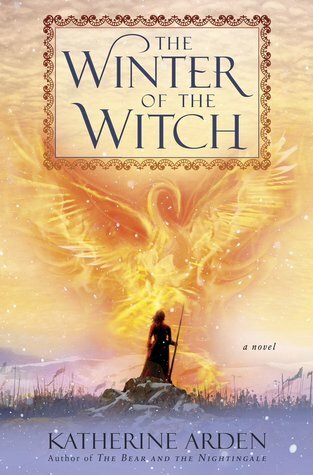 In true Katherine Arden fashion, we get a nice mix of Russian history and fantasy. We cry and rejoice as we follow Vasya through her trials and as she struggles to o what is right, even though it could cost her everything. The only thing I didn't like was the slow nature of the middle of the book when Vasya was in the midnight realm. It was still interesting though, and kept me involved in the story. I gave this book a solid four out of five stars.